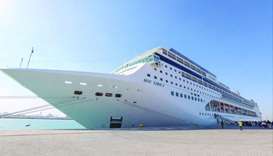 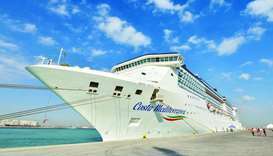 Costa Mediterranea’s arrival at Doha Port on Wednesday marked the Italian cruise ship’s maiden voyage to Qatar, bringing 3,700 passengers and crew members to the country’s shores. 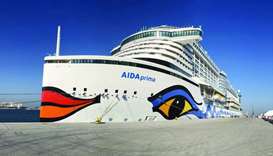 German mega ship AIDA Prima, which can carry 4,250 passengers and crew, made its first of eight calls at Doha Port Wednesday, further boosting Qatar’s cruise tourism sector. 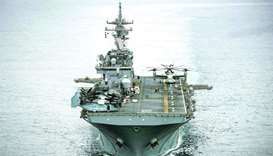 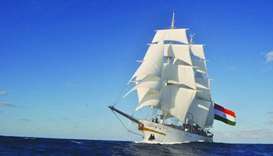 INS Tarangini, the first sail training ship of the Indian Navy would arrive at Doha Port Saturday on a three-day visit to Qatar. 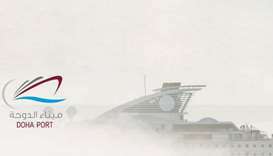 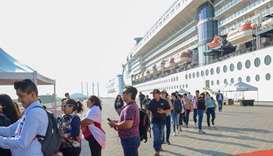 Doha Port on Wednesday received two mega ships, Celebrity Constellation and MSC Lirica, simultaneously for the first time, as a total of 6,000 visitors were welcomed by officials from the National Tourism Council (NTC) and Mwani Qatar. 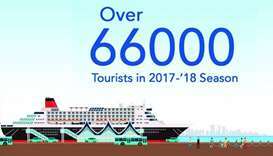 The Doha Port served more than 66,000 tourists in the 2017-18 season, a 97% increase over the previous season. 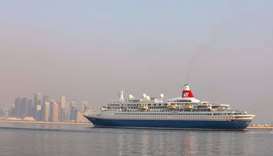 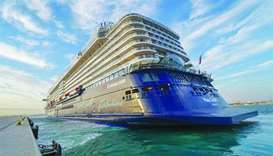 Two mega cruise ships arrived in Doha on consecutive days -- Thursday and Wednesday -- as part of the ongoing cruise season. 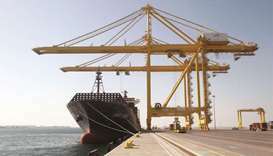 Hamad Port, which has seen the world’s largest shipping companies seek entry and growth in the Qatari and regional markets, berthed 171 vessels in November last year compared to 178 the previous month, according to official figures.